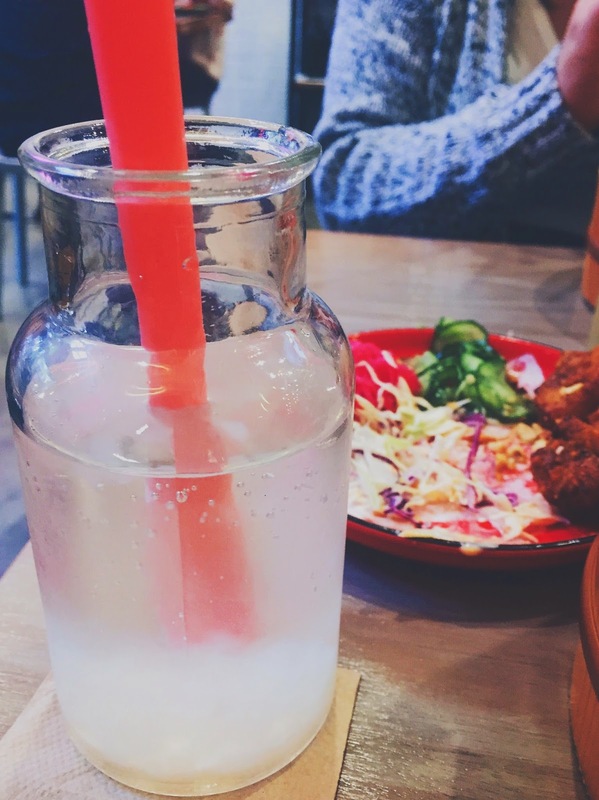 Not that we don’t already have enough Korean restaurant in the City, but a new one is never going to hurt anyone eh? 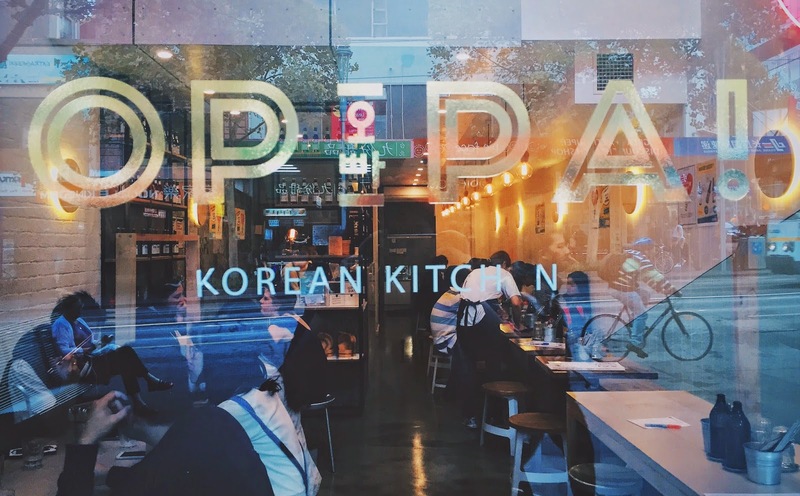 Oppa Kitchen opened towards the end of 2014, and has definitely been quite popular amongst students and those that work close-by. 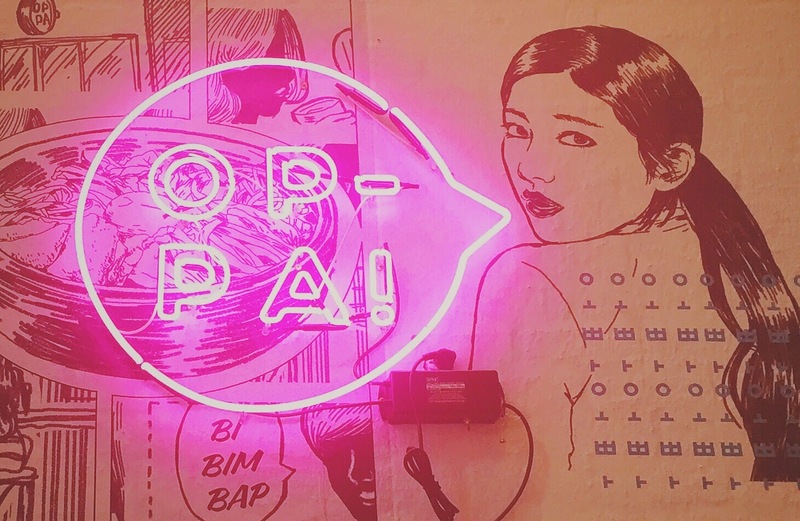 The menu is quite straight forward, fried chicken, dorisak, bibimbap, and that’s pretty much it. 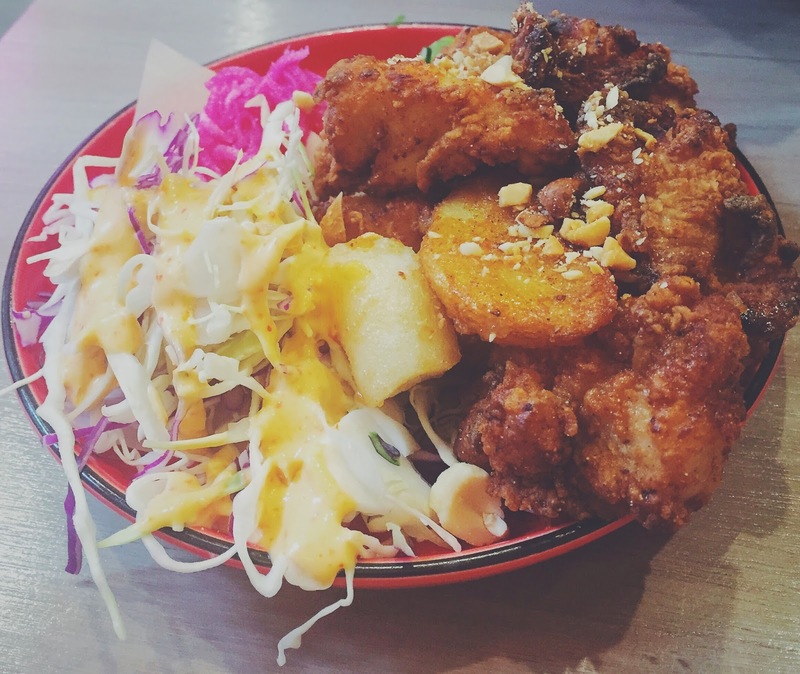 The serving may seem generous, but there was plenty of potato hiding amongst the fried chicken, and there was even a piece of rice cake that made it onto the plate accidentally I think haha. The chicken had a nice crispy coating, and the soy garlic sauce was quite enticing. The coleslaw had ample amount of kewpie dressing on the top, which is always nice. We visited on quite a warm day, which meant that the cool grape juice went down a treat. The coconut jelly were nice. The spare ribs were very tasty, the charred edges added an extra smokiness. However, the size of these ribs were quite inconsistent, which means they weren’t all cooked the same. The potato croquette was quite cold, but it remained the crunchy. The salad was quite bland, but the biggest let down of the dorisak is, without a doubt, the rice – it was so gluggy. 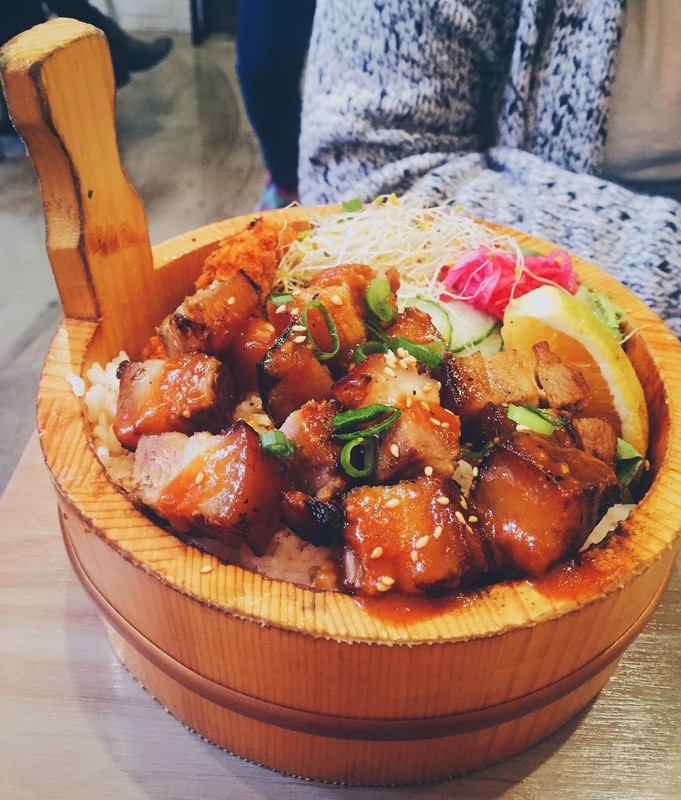 Pork belly never fails to look appetising, the sauce tasted more sweet and sour rather than bulgogi, but it was still quite nice, my friend wanted more of it haha. 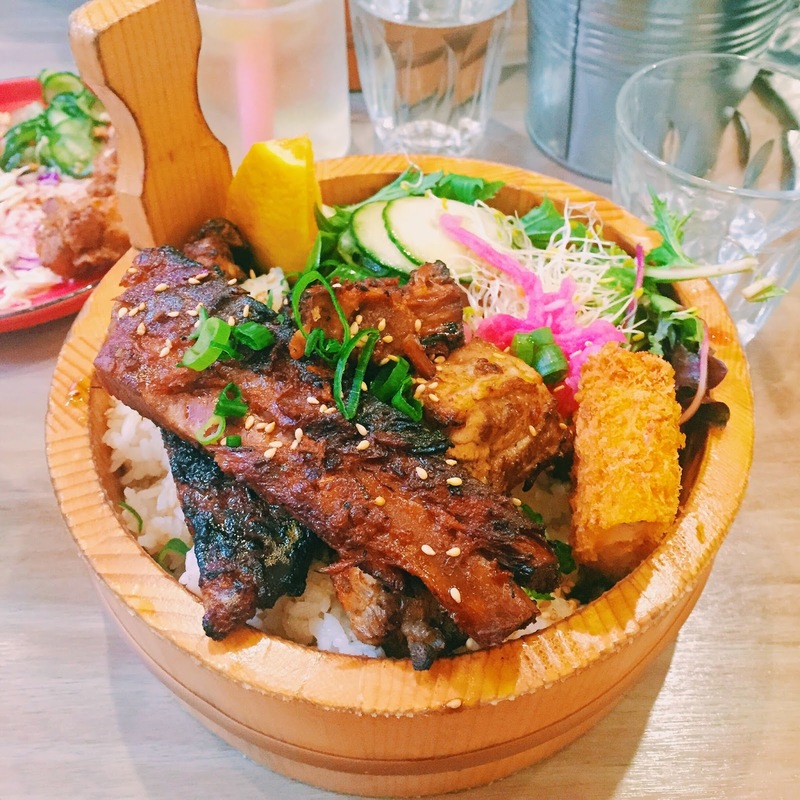 The rice in this dorisak wasn’t as bad according to my friend, I’ll probably give the pork belly a go on my next visit. Oppa! certainly has a nice interior, the tables were clean and the overall atmosphere was very welcoming, even the gold sticker on the window was appetising. Give it a go if you’re looking for something new to try! Don’t be scared if it looks full, there’s also a second floor which was quite empty when I visited. 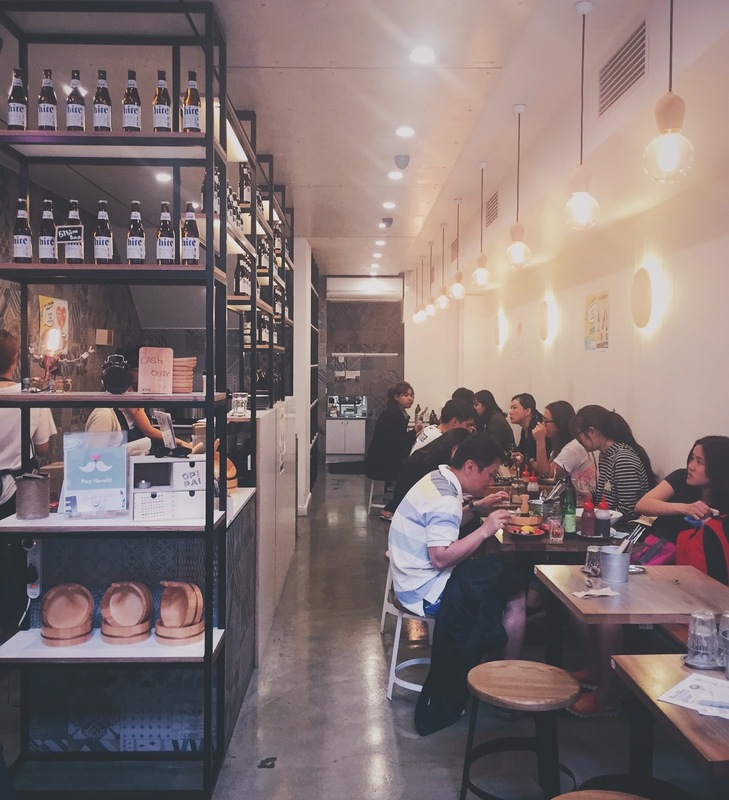 Oppa Kitchen is located on Swanston Street, one block down from Melbourne Central.